This spacious home, still to be built, is ideal for the entertainer whether casually or more formal occasions. Entertain in your open plan family area spilling out to an alfresco and supported by a gourmet kitchen complete with European appliances. Just imagine watching the latest release movies in your media room with the family sharing popcorn and enjoying the closeness of family time. With 4 generous bedrooms, 2 bathrooms and 2 separate toilets there should not be any fights over the bathroom usage. If this does not tick all of your boxes, we can custom draw a house design that is unique, incorporating your requirements and is a reflection of you! This is only one of our many plans. If it is not quite right, it can be modified or choose another design! Images are indicative only and may include upgraded finish! 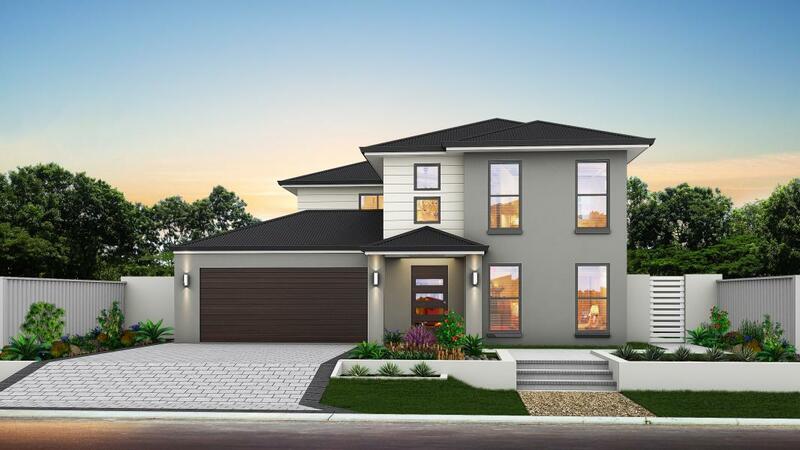 This is a proposed house and land package which is yet to be constructed and is subject to site inspections, engineering reports and council approvals. House and Land to be purchased separately. Location, Location, Location! The site is conveniently located, close to parkland and South Pine River. Albany Creek is well serviced with shops, banks, post office, cafes, fast food shops, tavern, medical and dental practitioners – everything essential for your daily life. There are a number of schools in the suburb – both state and private and a bus services travelling to the City, Chermside or Strathpine where you can spend a day shopping or attending a movie.